High and dry! 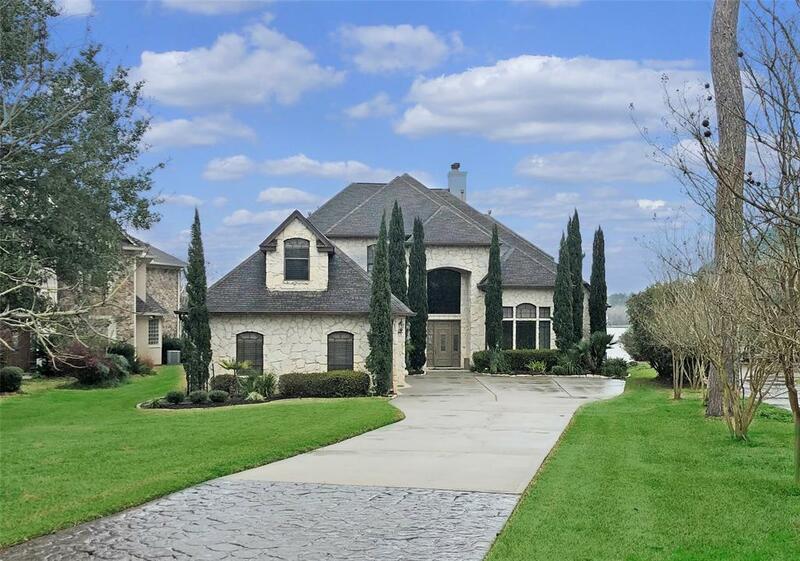 150' of bulk headed Water frontage in this beautiful Austin Stone home. Panoramic views & very private lot. 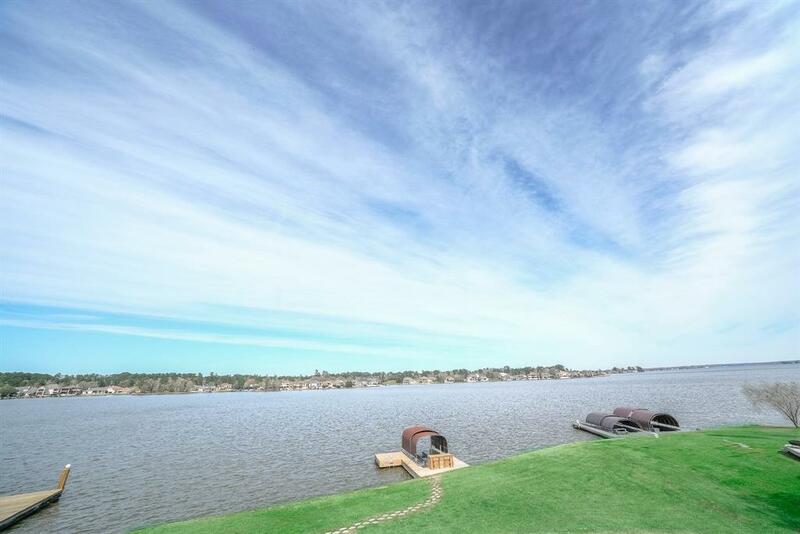 Complete with 3 car, oversize garage, room for a pool, elevator, Eastern exposure, tons of built-in storage cabinets & book cases, low POA and low property taxes, 2 laundry rooms, 4 a/c units, covered boat slip w/electric motor and extra tall dock cover. Granite island kitchen with tons of storage along with walk-in pantry and trash compactor. Additional features include: retractable chandelier in foyer, NUVO water softener, 2 gas fireplaces, electric panel in place for future pool, stove top in kitchen is plumbed for gas too. 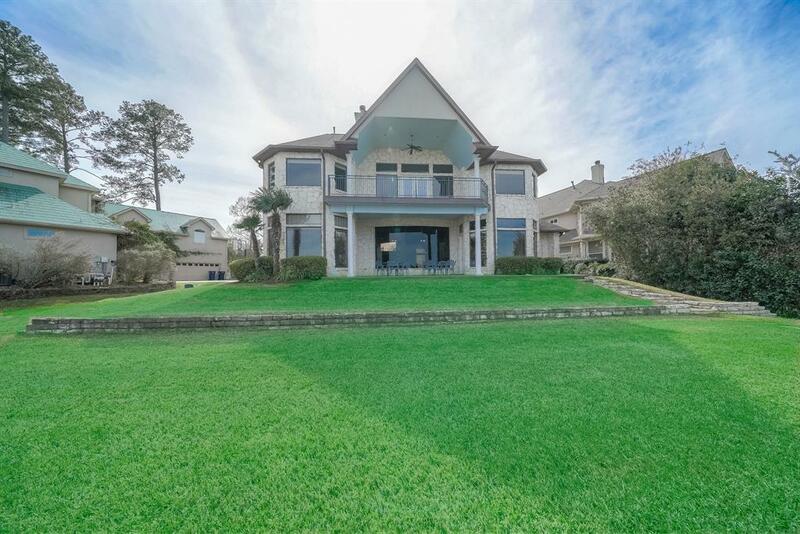 The upper balcony allows you to soak up the open water views of Lake Conroe. Extra Room is a/c and perfect for storage, media or kids room. 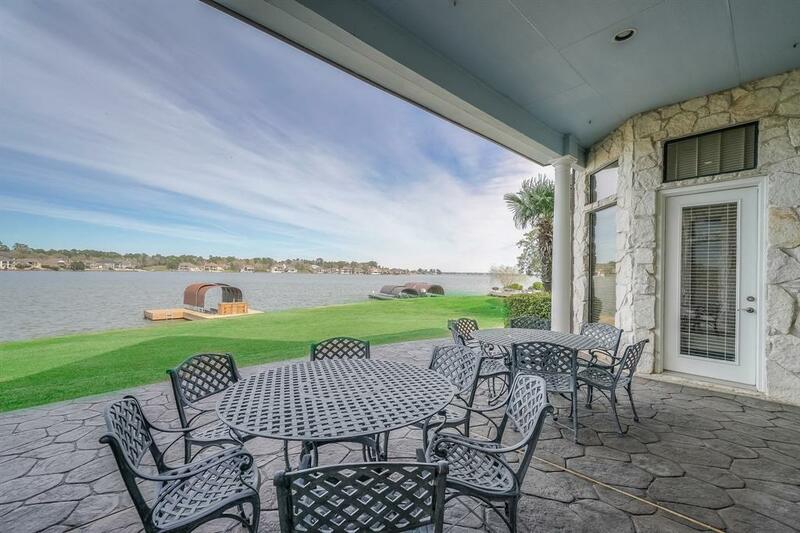 Grand Harbor is a manned gated community that offers an area boat launch, pavilion, baseball fields & tennis courts. Minutes from Historic Montgomery, IAH, fine dining and area shopping. Montgomery ISD.